Vijayawada temple timings, opening and closing hours. 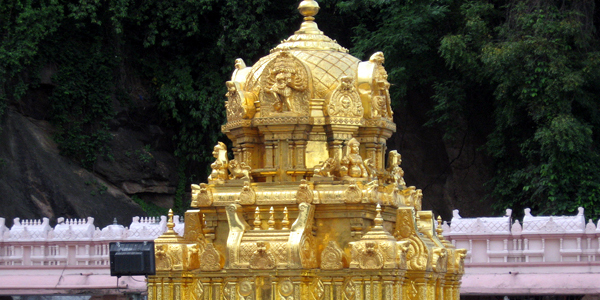 Kanaka Durga temple is a popular Hindu pilgrim located in Vijayawada. The temple is on a hilltop namely Indrakeeladri on the banks of Krishna river. But during the festivals like Navaratri, Shakambari Utsavam no special darshans are allowed at Vijayawada Temple. How to reach Kanaka Durga Temple? Gannavaram airport is the nearest airport, it is at a distance of 22 km. From there we can hire a private vehicle to reach the temple. Kanaka Durga temple is 2.5km away from Vijayawada Junction Railway Station, direct trains are available from all parts of India. After reaching there, follow the above mentioned Vijayawada Temple Timings and reach there on temple buses. However, are available for every 10 minutes which is of free of cost from the railway station. Or else hire an auto or vehicle to reach the temple hill. Buses are available to Vijayawada from all parts of Andhra Pradesh and even Telangana. As said early the Temple Buses are also available from Local Bus station. Or else vehicles are allowed to reach the temple. There is also a parking area on the hilltop of Vijayawada Temple.